The trailer of Sai Dharam tej Upcoming movie “Chitralahari” with Nivetha Pethuraj and Kalyani Priyadarshan released today and it’s refreshing! 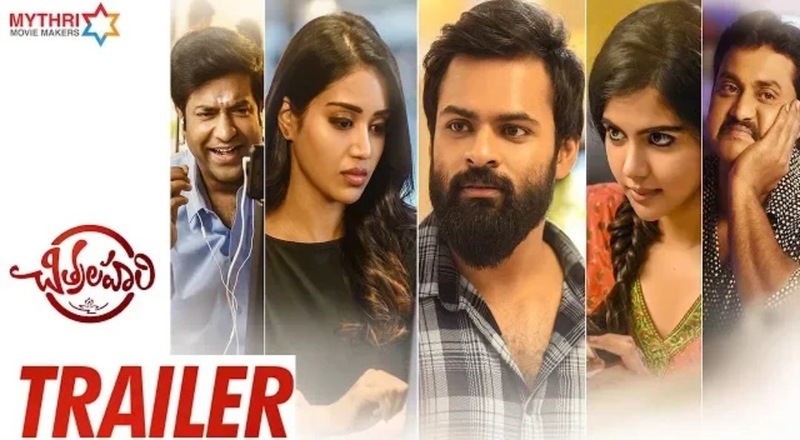 The trailer is quite intensive and tej hits the right chord this time.The teaser also sees Kalyani Priyadarshan who is stealing the show with her different looks and expressions. The Chitralahari trailer looks quite unique and has raised excitement among the moviegoers to watch the film. Sai Dharam Tej’s Chitralahari also features Vennela Kishore, Sunil, Posani Krishna Murali and Brahmaji among others. The film is being produced by Naveen Yerneni, Y. Ravi Shankar and Mohan Cherukuri (CVM) under Mythri Movie Makers banner.